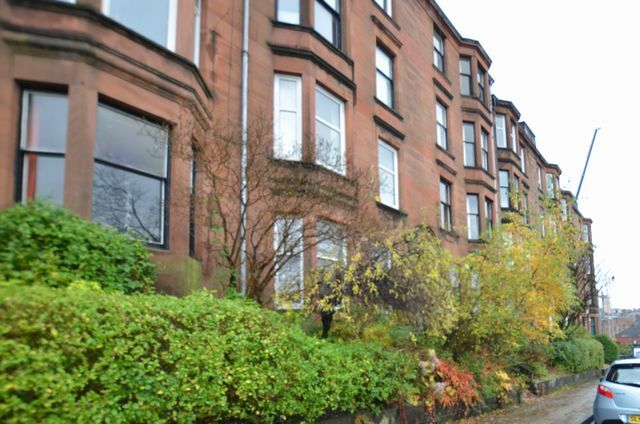 Spacious first floor apartment within a well kept traditional tenement block in Glasgow Garnethill. This property is ideally suited to a single person or couple looking to be near the city's hotspots with Sauchiehall Street on your doorstep, and Buchannan Galleries within an easy walk. It comprises entrance hallway with generous storage cupboard, bright bay windowed living room with feature fireplace (ornamental only), study area off, double bedroom to the front with another fabulous fireplace, bathroom with shower over bath to the rear and spacious dining kitchen to the rear. The property has gas central heating, secure entry , communal garden. Freshly decorated throughout with stripped floorboards, comfortable furnishings and a homely feel.